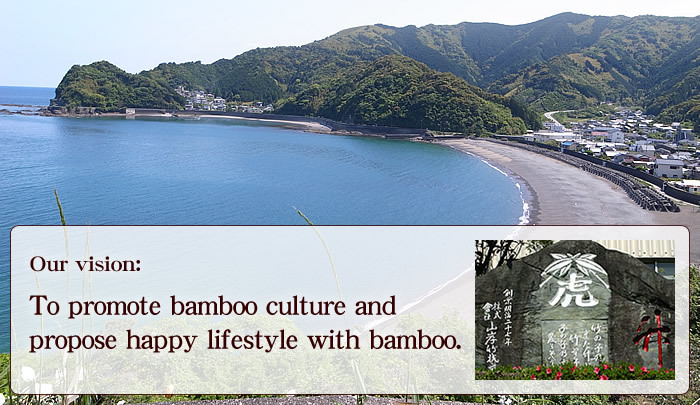 Taketora is a special brand of Yamagishi Bamboo Inc, founded in 1894.We make and sell bamboo products.Our base is located in an area called Awa where one of special bamboo species called Tiger Bamboo grows.Through our business, we propose happy lifestyle with bamboo. 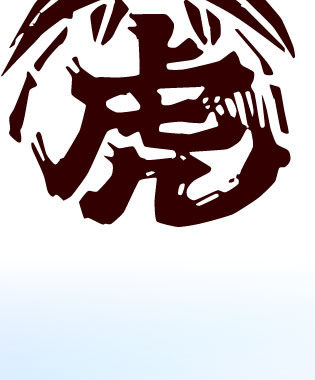 ←The logo of Taketora is a combination of bamboo leaves and a chinese character which means "tiger"
The surfaces of Tiger Bamboos have unique patterns like tigers' skin.Tiger Bamboos occur only in our base area, Awa in Susaki city, Kochi pref.in Japan.When transplanted into any other area than Awa, Tiger bamboos lose their tiger-like patterns.The reason why Tiger bamboo grows its characteristic patterns only in Awa is not scientifically clarified even though once scientists tried to solve the mystery. 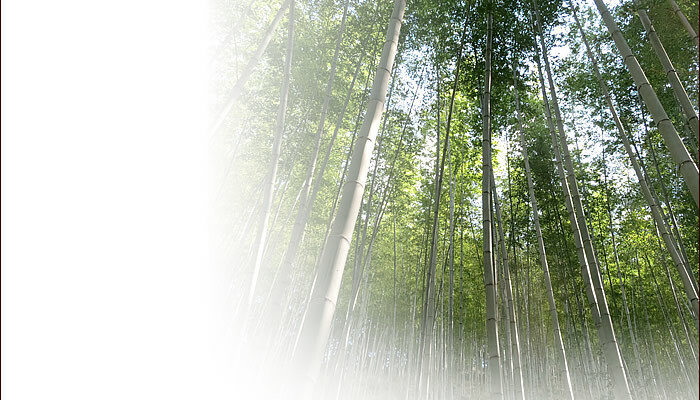 The mysterious characteristics and beauty of Tiger Bamboo have attracted many bamboo dealers through Asia and media staff from all around the world. They have come to see our company as only Tiger Bamboo dealer. 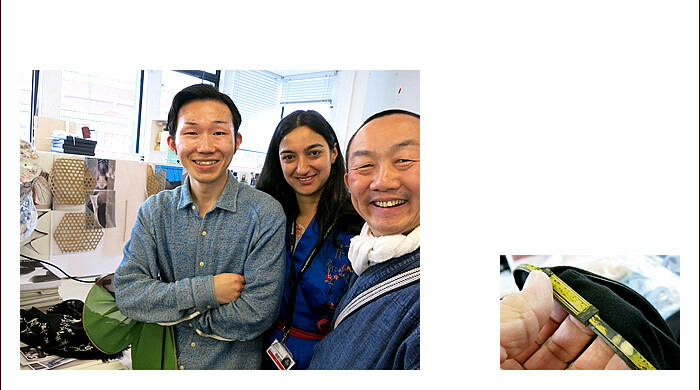 Staff members from BBC in the UK said "Tiger Bamboo is miracle!" again and again.That is why we call Tiger Bamboo "Miracle Bamboo". Tiger Bamboos occur deep in mountains.Cutting and carrying down heavy bamboos are hard work.What is important is to select ones which have beautiful patterns NOT harvesting good bamboos which would be parent roots in the future.The selection is our workmen's professional work handed down from our predecessors.Harvesting is done in winter in order to protect the bamboos from bugs. Harvested Tiger Bamboos are classified by their size, quality and use.The values of Tiger Bamboos depend on the patterns of their surfaces. Bamboos are passed over a flame with a gas burner to make them more durable.In addition, this makes the patterns of the surfaces easier to see.Then, make them straight for raw bamboos are naturally curved. 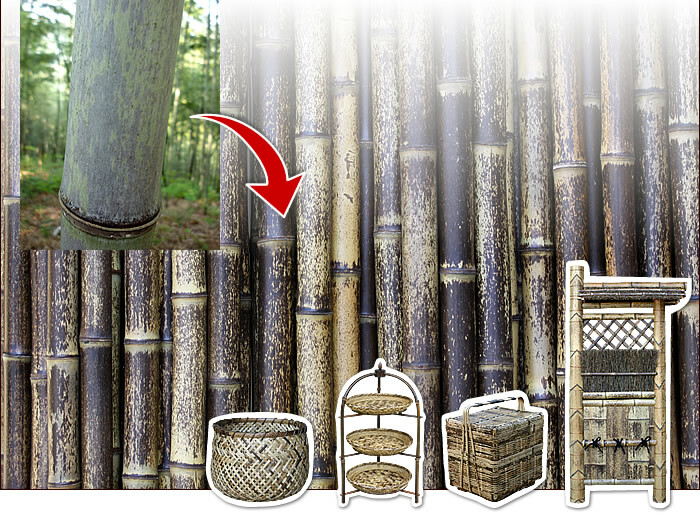 Prepared Bamboos are manufactured for many different goods like chairs, kitchen tools, and bags. 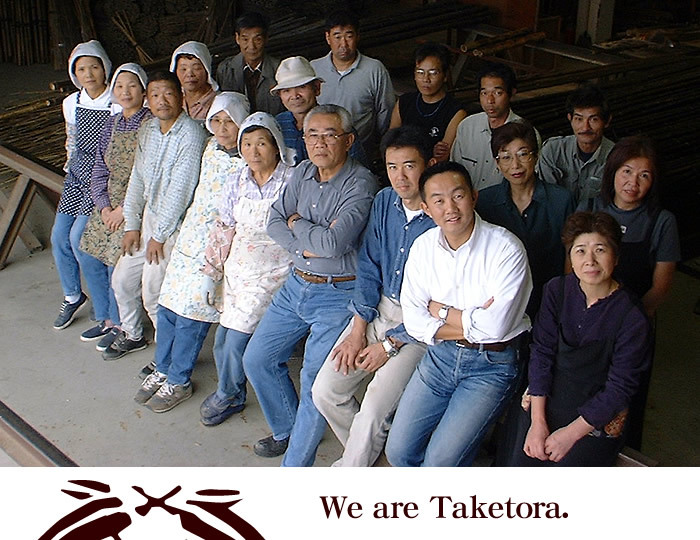 Yamagishi is the 4th generation owner of the long-established bamboo craft brand, "Takeya" founded in 1894. 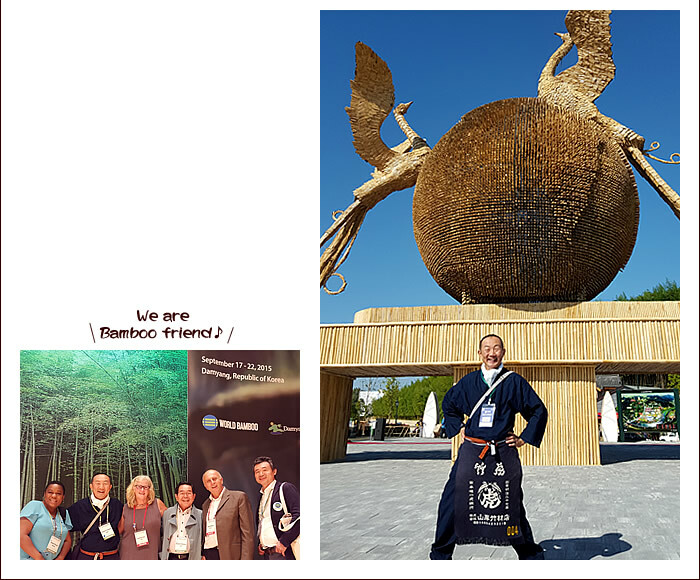 He launched a website in 1997 with an aim to broadly introduce Tiger Bamboo．a type of bamboo tree that only grows in Japan, especially as it had been gaining interest of BBC and other foreign media sources. Even though his attempt failed at the time, after meeting many inspiring people, he decided to try again from scratch in 2000. 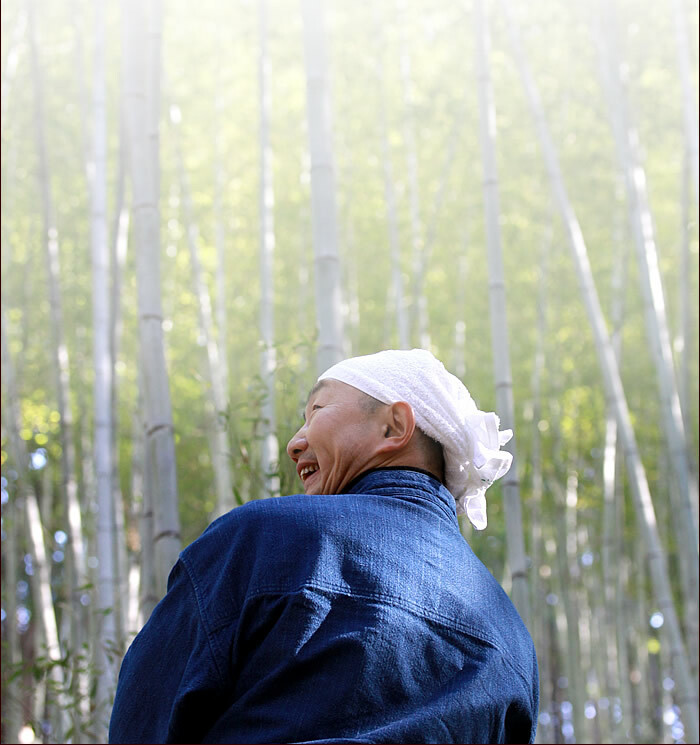 As he rediscovered the excellence of the regional material, Tiger Bamboo, as well as the beauty of Japanese traditional arts and crafts, he decided to promote the theme of "A rich life with bamboo" across Japan through the Internet and various social media by introducing the production process from lumbering to manufacturing to product development and also by selling final products. Many different bamboos are lined up in our factory. 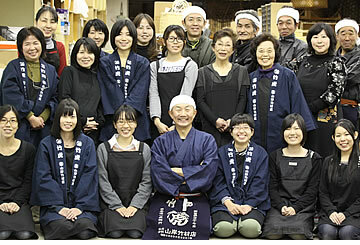 Our shop have varieties of bamboo goods.We are waiting for your visit! 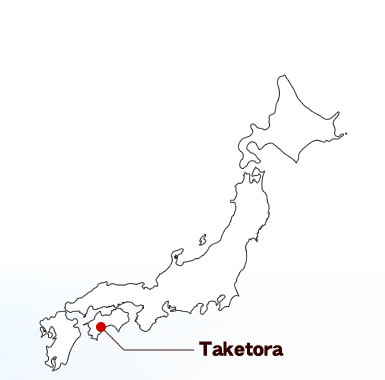 Taketora has been trying to expand its business to overseas. 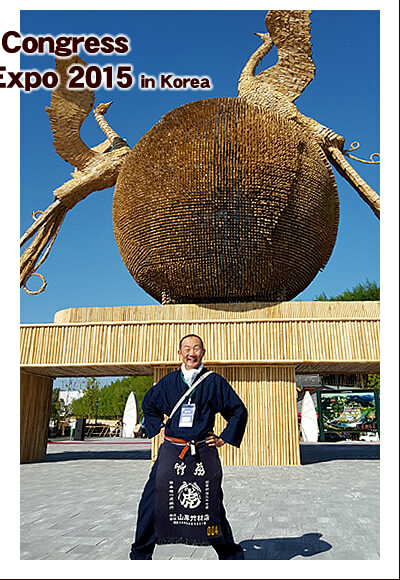 We are hoping to help as many people as possible learn about Tiger Bamboo, a type of bamboo that is unique to Japan, as well as Japanese bamboo craft and craftsmen. We had our new bamboo furniture exhibited at the Stockholm Furniture Fair 2015. 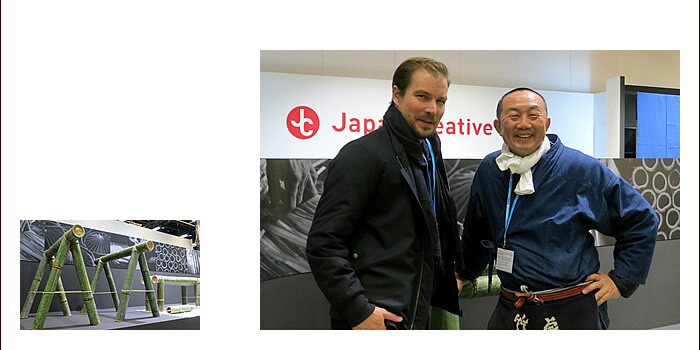 With help from Japan Creative, we developed bamboo furniture in collaboration with a German designer,Stefan. 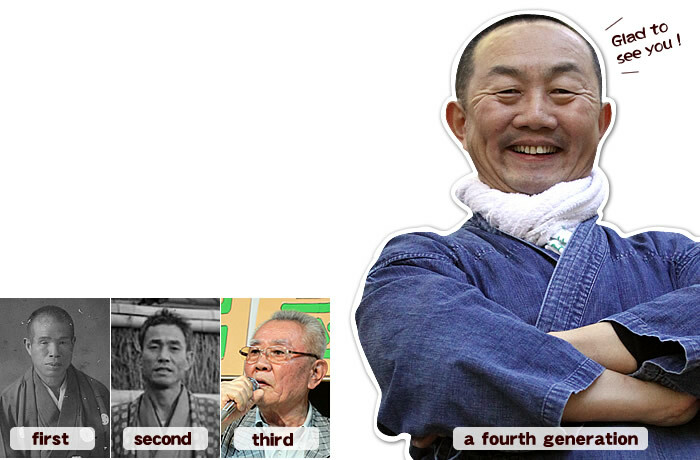 The 4th generation Taketora on Tiger Bamboo that is unique to Japan at J-COLLABO in New York City. 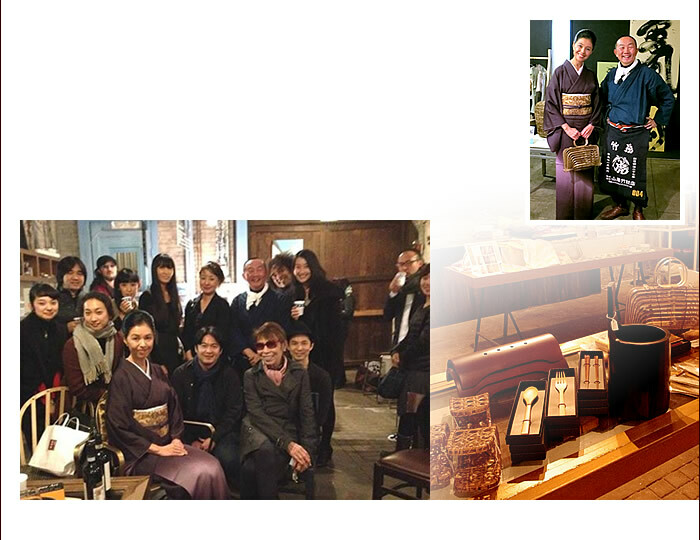 Toradake's original bags, including "New Yorker", are part of the permanent collection of J-COLLABO. 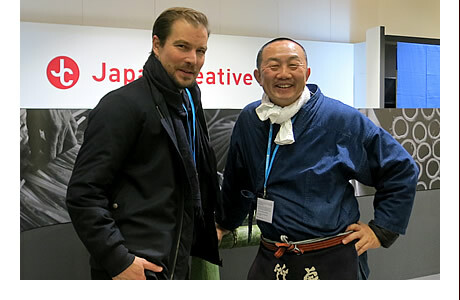 J-COLLAB is an organization that encourages artists of any age and nationality across all genres to collaborate with others and has been trying to introduce Japanese traditional art and craft. 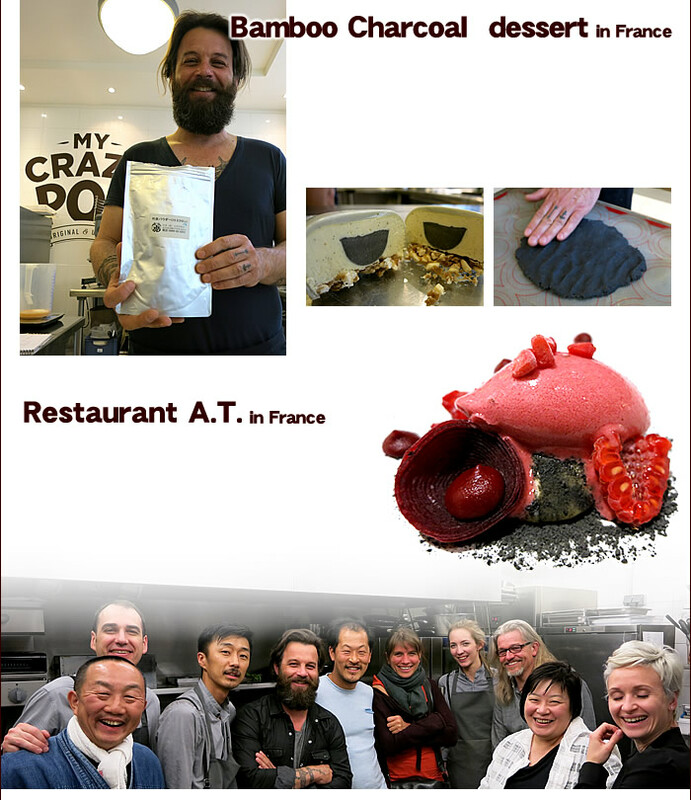 Mr. Laurent Favre-Mot is a French patissier who uses bamboo charcoal in his original sweets. He owns a shop in the 9th arrondissement of Paris. Restaurant A.T. owned by an excellent chef, Mr. Atsushi Tanaka, is a place where you can enjoy a bamboo charcoal course meal. 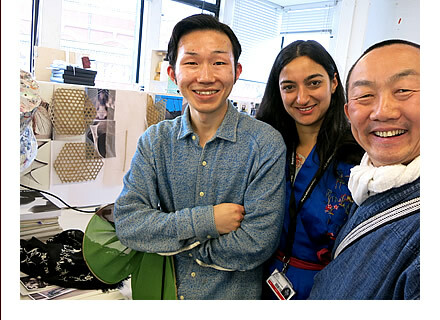 Tiger Bamboo was used in the clothes that Mr. Naoya Nakayama designed for his fashion show at Royal College of Art. 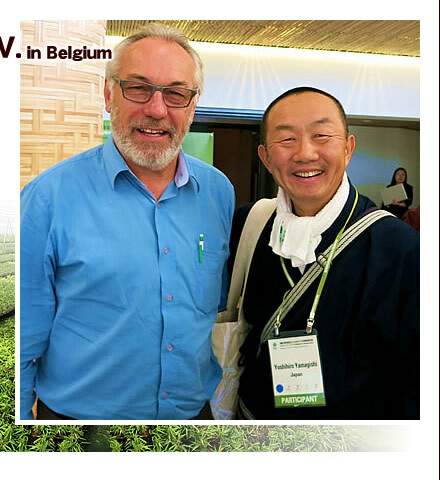 We visited OPRINS Plant N.V. in Belgium, a company that mass-produce bamboo seedlings, for a company tour and cultural exchange. 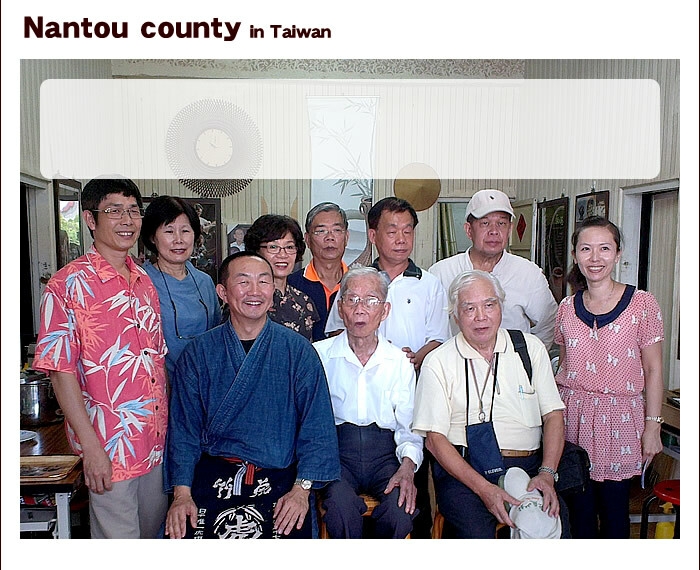 We visited Nantou county in Taiwan, a place known for bamboo production, and exchanged opinions with highly-skilled bamboo craft artisans and many people who worked in the Taiwanese bamboo industry. 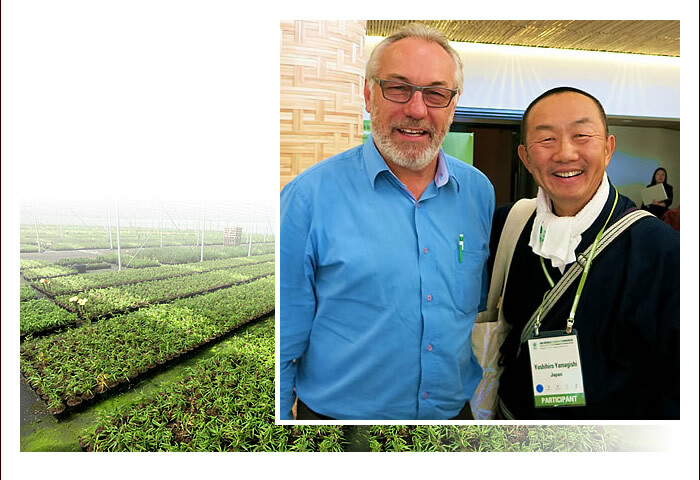 The 4th generation Taketora participated in the 10th World Bamboo Congress and World Bamboo Expo 2015. 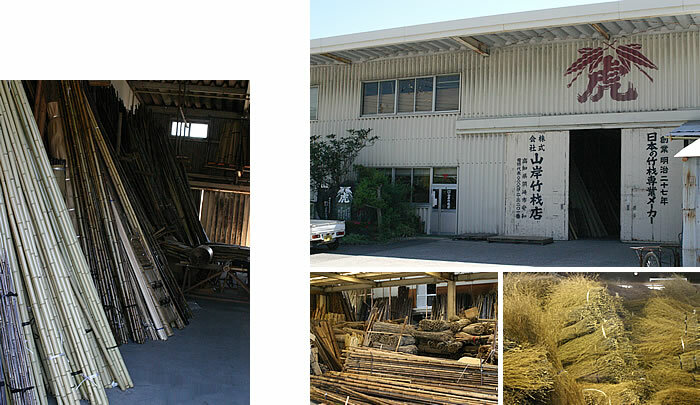 In 2014, We have 120 years history.We started our business in Osaka city, then moved to the present base Awa looking for Tiger Bamboos. Our mission is to save Japanese bamboo tradition and hand it down to the next generation.People in Japan has been using bamboos for making tools for everyday life, religious rituals and many other different purposes.Nowadays, many cheap bamboo goods are imported and prevail.That makes why we intend to focus on domestically harvested bamboos.Our workmen cut and harvest bamboos in our local mountains with their own hands not using machinery. From the 20th century, we have believed strongly that bamboos are useful and necessary for sustainable society and economy.Bamboos are one of the fastest-growing plants in the world.They mature 20 meter wide only in three months.Reusable as materials for products in three years, they are for ecology,In order to save our tradition and culture, we make use of technology.Our business strategy is now based on promoting and selling bamboo goods through the internet. 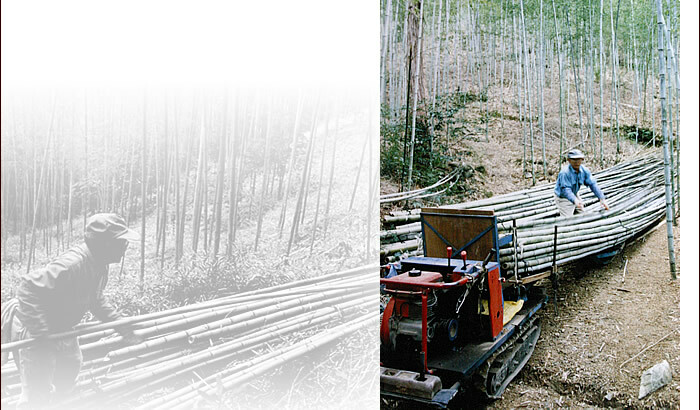 We will never stop trying to save and expand Japanese bamboo culture.